By understanding what the SOCOM acquisition model is, and what it isn’t, the Army can leverage its strengths appropriately for more efficient and effective modernization. When reading about or interacting with the forces assigned to the U.S. Special Operations Command we think of speed, global reach and, most important, operational success. 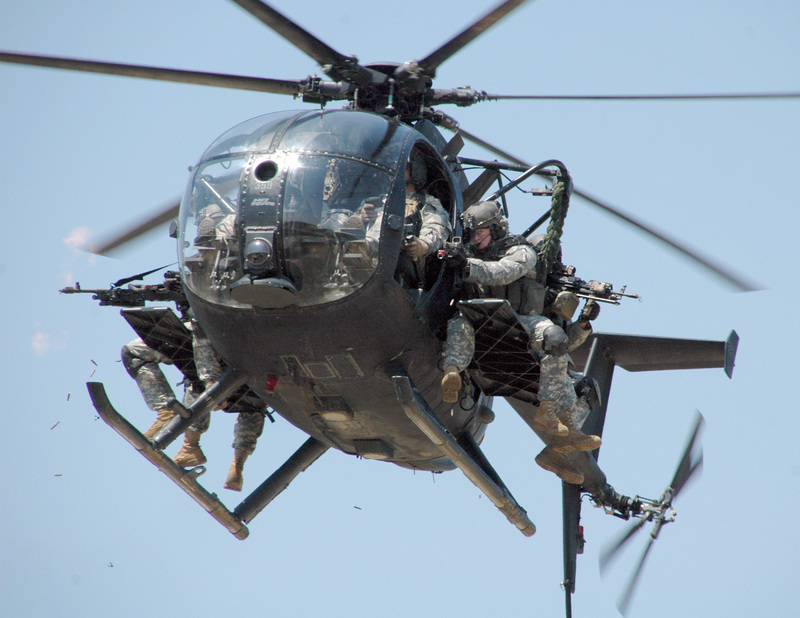 Special operations forces (SOF) routinely conduct critical missions with highly trained operators using world-class equipment that is peculiar to them. After more than 15 years working closely with SOF on the battlefield, the Army has a well-established respect not only for their formations but also for the streamlined SOF acquisition processes that result in rapid delivery of modern capabilities. The command, commonly referred to as SOCOM, bases its acquisition model on several simple, straightforward tenets. In counterpoint to those tenets are several myths that reinforce the Army’s and DOD’s fascination with SOF equipment development, procurement and fielding. Several Army acquisition processes mirror the tenets of SOCOM acquisition success, as Lt. Gen. Paul A. Ostrowski, principal military deputy to the assistant secretary of the Army for acquisition, logistics and technology (ASA(ALT)), reinforced recently in his Acquisition Streamlining and Cultural Initiatives road show and memo. The five tenets of the SOCOM acquisition model are speed, risk tolerance, scale, inclusivity and relationships. 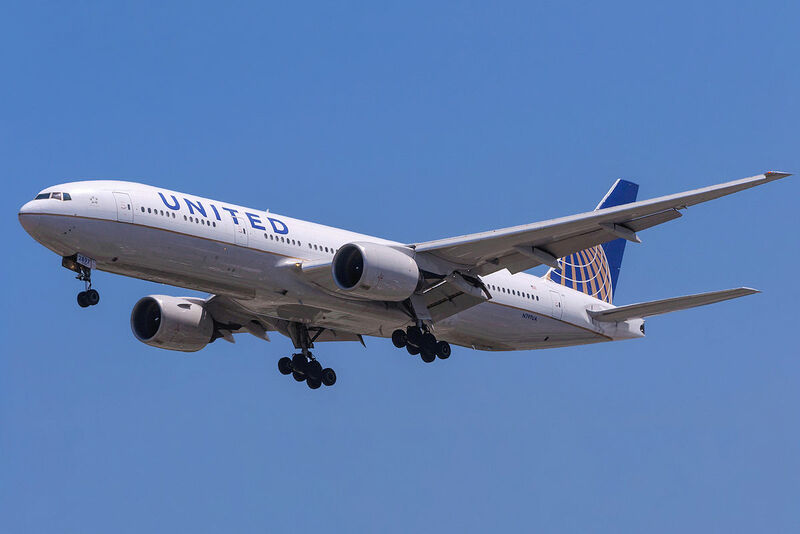 They emphasize an aggressive, operator-focused and innovative acquisition culture with an emphasis on agility and speed of delivery to the customer. To put its streamlined processes into practice, SOCOM translates these guiding principles into specific program management actions. 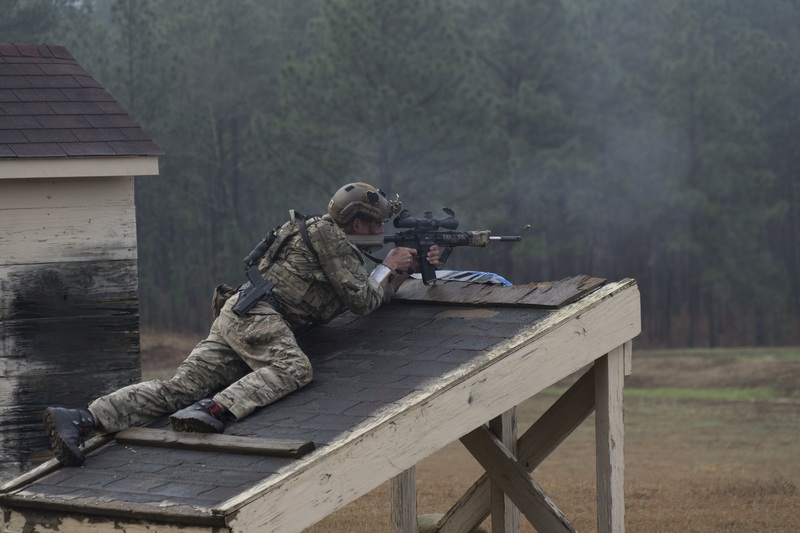 Reviewing each tenet illustrates aspects of the SOCOM approach that the Army might adopt. 1. Speed. There is a clear focus on expeditious delivery of capability to the SOF operator. SOCOM accomplishes this by exploiting proven techniques, methods and technologies. While the SOF Acquisition, Technology and Logistics (AT&L) enterprise constantly scouts for emerging and disruptive technology, its program executive offices (PEOs) focus on leveraging proven technologies to hasten delivery and mitigate risk. Another key attribute of this tenet is the command’s relatively flat organizational construct. It maintains milestone decision authority at the very lowest levels appropriate to keep pace with SOF operations, and program managers have easy access to milestone decision authorities to enable agile decision-making. 2. Risk tolerance. SOF AT&L accepts more risk in program execution than is typical of the larger services. Beyond recognizing cost, schedule and performance risk in program management, aggressive risk management permeates the command culture. Managing risk, coupled with exploiting opportunity, ties directly to the commander’s priorities while fulfilling operator requirements. Emphasizing risk acceptance and mitigation early in program cycles allows SOCOM to stabilize the long-term, more costly efforts in time for execution. 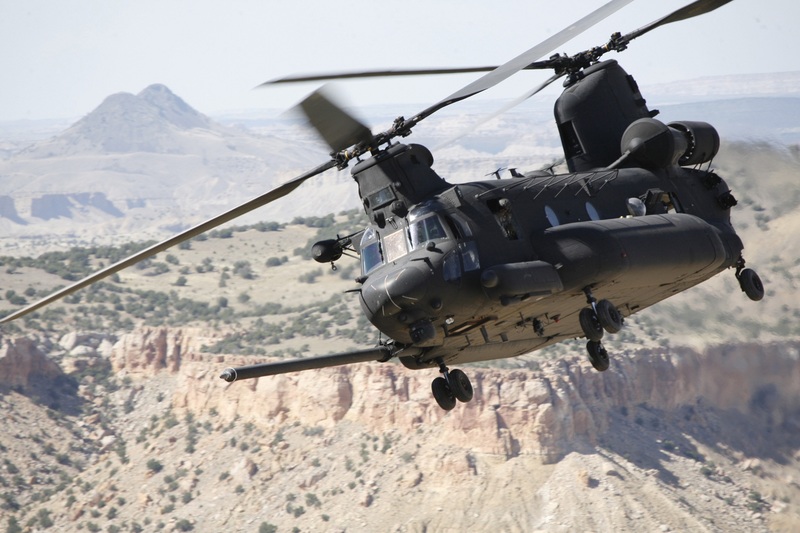 In contrast, the Army has considerable oversight and visibility on its acquisition portfolio, specifically at the Acquisition Category (ACAT) I and II levels, leading to a generally risk-averse approach. On the other hand, SOF AT&L mitigates oversight and high visibility by keeping programs small. SOCOM leaders create an environment where tailored acquisition strategies thrive and senior leaders know the difference in associated risks between the rapid and deliberate processes. 3. Scale. Reviewing the SOCOM and Army acquisition portfolios, almost all SOF programs of record, 92 percent, are ACAT III, as defined by dollar value. With these smaller efforts, the statutory and regulatory requirements are considerably less, allowing greater flexibility and speed of execution. By keeping the majority of its efforts at the ACAT III level, the SOF AT&L approach places the milestone decision authority at the O-6 level. The highest-level efforts, ACAT II, place the milestone decision authority at the SOCOM acquisition executive level. This delegated management and approval contributes significantly to velocity. Recent Army acquisition streamlining efforts mirror this approach, with ACAT IV efforts delegated to the level of colonel or the civilian equivalent for management and milestone decision authority. To date, the Army has 97 ACAT IV efforts, most of which are in the portfolio of the PEO for Soldier. 4. Inclusivity. SOCOM typically achieves inclusivity and collaboration using SOF acquisition integrated product teams (IPTs). At the foundation of the IPT are SOF operators, acting as combat developers: highly skilled, educated combat veterans who understand their mission sets, current equipment and new capability requirements. In addition to operators and program managers, the IPT has participation from SOCOM staff, members of the requirements, testing, contracting and legal departments; business financial managers; product support managers; the Science and Technology Directorate; and service component commands. The inclusivity of the IPTs enables them to manage expectations and program trade-offs effectively. As a result, there are few surprises in cost, schedule and performance. The Army acquisition community also uses the IPT structure, but on a much larger scale. The Army recently established a pilot program with eight cross-functional teams aligned with its six modernization priorities. They are focused on combat development (e.g., requirements generation) in much the same role as the SOF operator and component command staffs. 5. Relationships. Acquisition is all about relationships and building trust. The shared culture, co-location and smaller size of SOF AT&L within the SOCOM command and staff structure help build strong relationships. There is a real trust that the USSOCOM acquisition community will rapidly deliver to the SOF operator effective and suitable materiel and non-materiel capabilities. SOF teams work to deliver capabilities as promised, which not only builds credibility but also leads to greater freedom of maneuver in requirements, resourcing and acquisition. Beyond USSOCOM, SOF AT&L has developed solid relationships with the Office of the Secretary of Defense, the military services, Congress, industry, academia, government laboratories and foreign SOF organizations. The construct of the new Army Futures Command, with an overarching headquarters synchronizing all aspects of combat and materiel development, will also enhance relationships among the diverse organizations of warfighters and stakeholders that contribute to delivering capability. Over time, SOF AT&L’s perceived ability to rapidly deliver capability to support a small but diverse set of operational missions has grown to epic proportions. This perception, in turn, has given rise to several myths. The overarching myth is that SOF AT&L simply does not follow the rules, cuts corners, operates under waivers and uses significantly different authorities than DOD and the services’ acquisition constructs. 1. Big programs. In the tenets of success, smaller scale is critically important. By having predominately ACAT III programs, SOCOM minimizes statutory requirements and layered oversight, within the bounds of regulation and law. For example, SOF operators use mission-modified helicopters, AC-130 gunships and maritime vessels. The services provide these ACAT I platforms, which SOF AT&L then modifies for its specific mission requirements. 2. No requirements. USSOCOM uses several methods to document, validate and approve its requirements. Similar to the services, SOCOM uses both urgent and deliberate requirements processes. Urgent requirements include operational needs statements and joint urgent operational needs statements. Combat evaluations—in which SOF operators use a small amount of new equipment in an operational setting—also can rapidly assess a potential solution. SOF Capabilities Integration and Development System documents also align with the Joint Capabilities Integration and Development System initial capability, capability development and capability production documents. Validated requirements documents define capability performance for USSOCOM acquisition efforts. 3. Different funding. SOF AT&L annually executes active appropriations, submits a budget estimate submission for the next year and plans its program objective memorandum just like the rest of DOD. USSOCOM follows the same OSD “burn rates” (goals for obligating procurement and expending research and development funding); is subject to midyear reviews; and uses similar procedures for below- and above-threshold reprogramming. It gains some efficiencies by having fewer funding lines and maintaining a strong relationship with Congress to ensure that lawmakers are aware of acquisition funding and programmatic efforts. Additionally, SOF AT&L has tailored its process for reprogramming actions in the year of execution so the practice is not seen as exceptional, but rather as a normal part of doing business. SOCOM PEOs carefully consider funding risks inside and between program portfolios. In addition, SOCOM routinely involves senior acquisition, service component and resourcing leaders in reprogramming decisions. 4. No testing. SOF AT&L coordinates and funds considerable testing events with dedicated test organizations. These test events are commensurate with the ACAT level and intended operator mission sets. 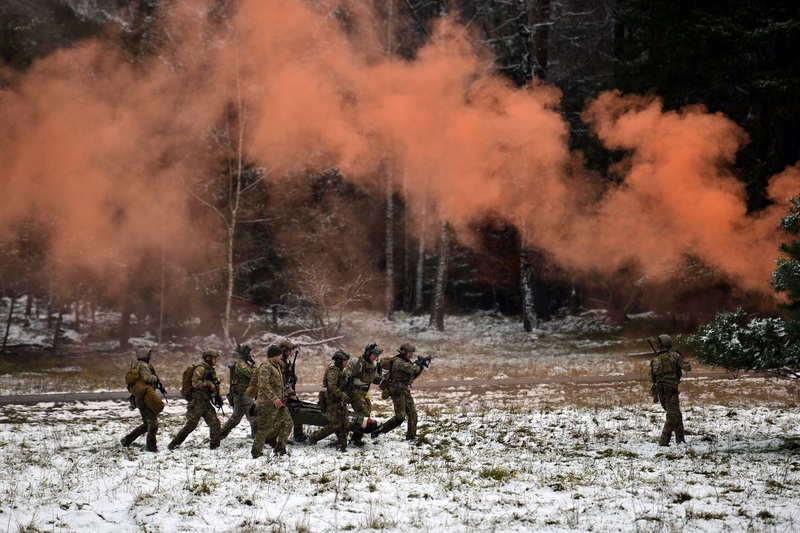 The SOF operational community is also generally more experienced than similar Army units, with personnel entering at the E-6 and O-3 levels, and trains extensively, both of which allow SOF AT&L to consider greater risk in fielding materiel. 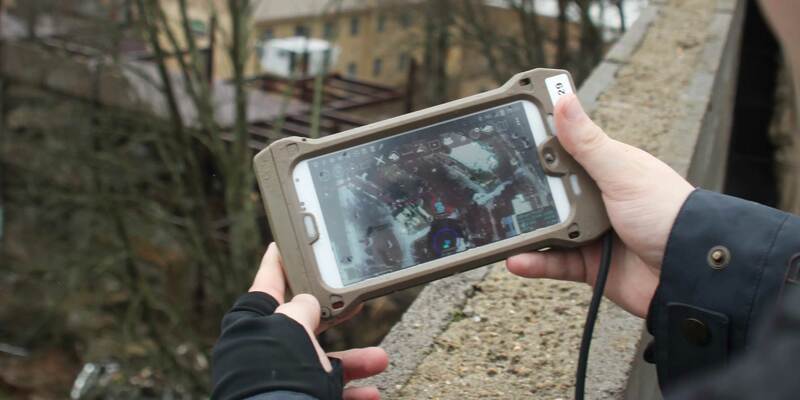 When the operational leadership accepts rapidly fielded equipment, they accept a certain risk that nonetheless is based on operationally focused, streamlined testing. 5. Always successful. The biggest myth is that all USSOCOM acquisition efforts are a success. By accepting more risk early in the program’s life cycle, program managers knowingly risk “infant mortality,” or early termination. Failure in these circumstances, with comparatively low dollar amounts and little time invested, is acceptable in the SOF culture, which explains why you don’t hear of large, costly program failures. In fact, neither the successes nor the failures of the “quiet professionals” who make up the SOF AT&L workforce are likely to be front-page news. Tailored, rapid acquisition processes are not always applicable for every SOF situation, either. While rapid is suitable for urgent or incremental acquisition, building a major defense ACAT I system using a rapid process could result in unforeseen cost, schedule, performance or sustainability issues. The SOF AT&L enterprise has acquisition professionals from all the services, 191 of them being active-duty military. Interestingly, the majority of the acquisition officers are from the Army. Not only does the Army contribute 43 percent of the officers to SOCOM, it fills three of the eight O-6 PEO leadership positions and multiple program manager positions at the O-5 level. Having served in both Army ACAT I and ACAT II programs, as well as with SOCOM ACAT III programmatic organizations, there were many opportunities to compare and contrast the standard acquisition approaches against SOF streamlined methods. The opportunity to work multiple, small and risk-tolerant efforts helps to develop well-rounded and knowledgeable acquisition professionals. As these officers gain experience serving in SOF AT&L, it is critical to leverage their knowledge and experience through collaboration with Army cross-functional teams, Army PEOs and the larger Army when they return for their next assignment. For large, diverse and complex organizations like the Army, adopting new models can be difficult, and the barriers to change are often steep. Today, the nation faces complex external threats including a resurgent Russia, an assertive China, violent extremist organizations, Iran and North Korea. Additionally, by necessity, the Army has prioritized personnel and readiness over modernization for some time. With today’s realities, neither SOCOM nor the Army can afford the luxury of long acquisition timelines. Core cultural changes will take time to spread across Army acquisition, requirements and resourcing communities. However, Army and SOCOM leaders should continue to diligently invest in people and be determined to build a culture that adapts its assumptions and norms. Army culture should close the gaps between operational users, the acquisition workforce and resourcers, bringing them closer together to think about and solve problems in new ways. Current efforts to stand up the Army Futures Command, and early steps by the new cross-functional teams that are aligned with the Army’s six modernization priorities, are aligned to the SOCOM way of acquisition in this aspect. This collaboration, combined with the vision set outlined by Ostrowski—focused on streamlining acquisition with a greater degree of customization, including prototyping and a “fly before you buy” mentality—is also reforming traditional processes. Continued collaboration between the Army and SOCOM has great potential to accelerate and embed many of these positive cultural traits, leveraging the SOCOM model to support the missions of the Army Futures Command and the Army acquisition system. COL. JOE CAPOBIANCO is chief of staff at the Army Rapid Capabilities Office (RCO) and the former PEO for SOF Warrior. He holds an M.S. in management of technology from Murray State University, an M.S. in aerospace engineering from the Georgia Institute of Technology, an M.S. in national resource strategy from National Defense University’s Dwight D. Eisenhower School for Natural Security and Resource Strategy and a B.S. in electrical engineering from Norwich University. He also completed the Senior Acquisition Course from Defense Acquisition University (DAU) and is a designated experimental test pilot by the U.S. Navy Test Pilot School. He is Level III certified in program management. COL. DAVID PHILLIPS is the PEO for Rotary Wing and the former PM for Special Operations Aviation Mission Equipment. He holds an M.S. in aerospace engineering from North Carolina State University, a Master of Strategic Studies from the U.S. Army War College and a B.S. in engineering physics from the United States Military Academy at West Point. He also completed DAU’s Executive Program Managers’ Course and is a designated experimental test pilot by the U.S. Navy Test Pilot School. He is Level III certified in program management and a member of the Army Acquisition Corps. The Special Operations Forces Acquisition, Technology and Logistics (SOF AT&L) enterprise provides rapid and focused support to the SOF operator. In any given year, the SOF AT&L team of roughly 450 professionals delivers and sustains more than 100 aircraft, 700 tactical vehicles, 4,000 weapon systems, 20 million munitions, 3,000 radios, 2,000 items related to command, control, communications, computers and intelligence and 600 intelligence, surveillance and reconnaissance kits to SOF units. Command, Control, Communications and Computers. Special Reconnaissance, Surveillance, and Exploitation. Along with five directorates—Comptroller, Logistics/J4, Procurement, Acquisition Agility and Science and Technology—the PEOs manage and support the development, acquisition and fielding of the critical items that make it possible for SOF operators to carry out their no-fail mission sets. U.S. Code Title 10, Section 167 authorizes the command to conduct development and acquisition of SOF-peculiar equipment, material, supplies and services. USSOCOM Directive 70-1, which lays out the command’s acquisition policy, tailors the policies and procedures. At the same time, it adheres to DOD Directive 5000.01, which describes the Defense Acquisition System, and follows the supporting DOD Instructions 5000.02 and 5000.74. SOF AT&L maintains close relationships with the Army, collaborating with U.S. Army Materiel Command, Army labs and PEOs under the assistant secretary of the Army for acquisition, logistics and technology at locations including Redstone Arsenal, Alabama; Natick Soldier Systems Center, Massachusetts; Picatinny Arsenal, New Jersey; Aberdeen Proving Ground, Maryland; and Fort Belvoir and Joint Base Langley-Eustis, Virginia.